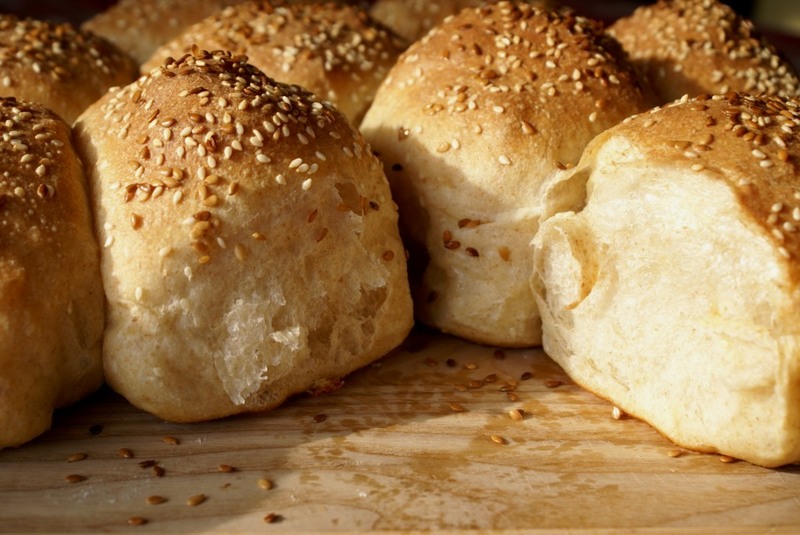 *** If you are going to make these rolls for dinner, I suggest make the dough in the morning and let it rest until ready to make them. I made my dough at night since I wanted to make the rolls for breakfast. Combine all-purpose flour, wheat flour and salt and mix it thoroughly. 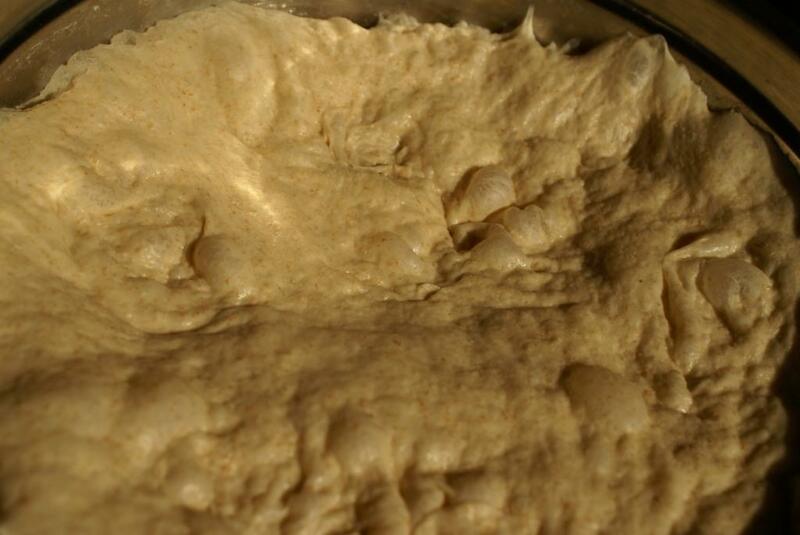 Combine warm water and cream and dissolve fresh yeast in the liquid. Set your mixer on slow and start pouring the liquid into the flour mixture, add honey and now switch to medium speed and knead for about 5 minutes. Sprinkle your work surface with a bit of flour and transfer the dough on it. 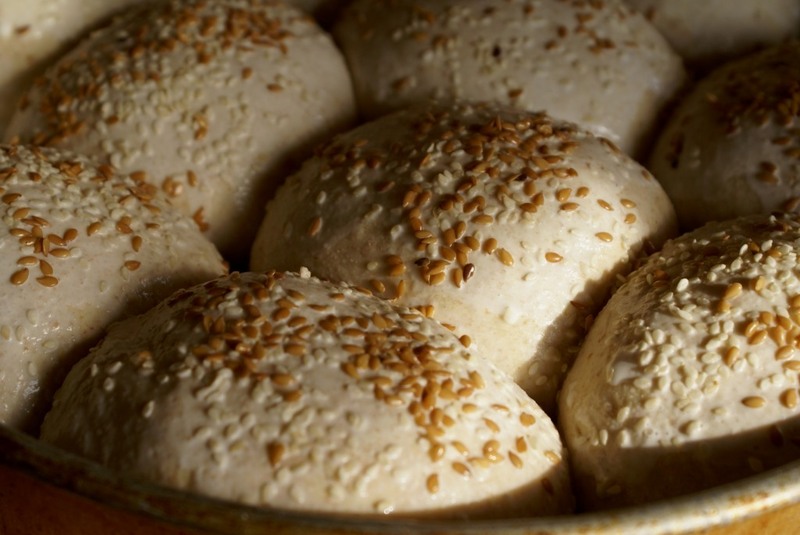 Knead the dough by hand for a minute or two, make it into a ball, brush with a bit of oil, cover and let it rest for several hours, best overnight. Prepare a greased large round baking pan. 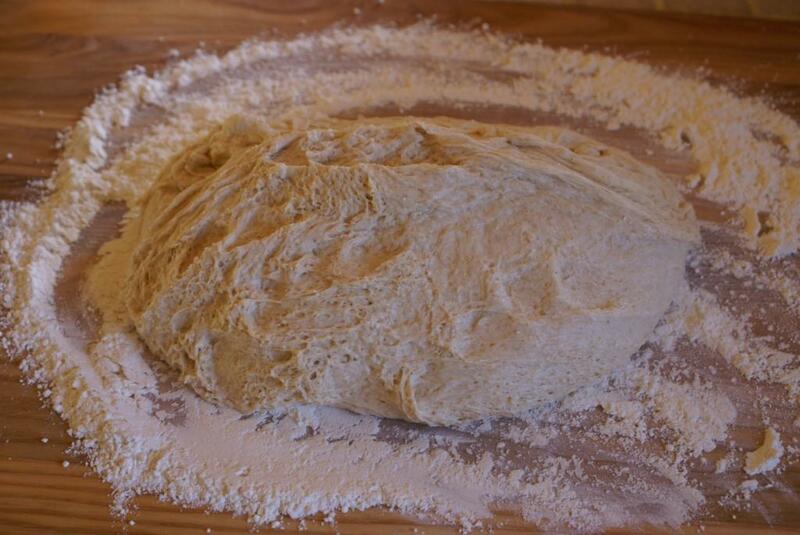 Empty the dough on a floured surface and knead it a few times. 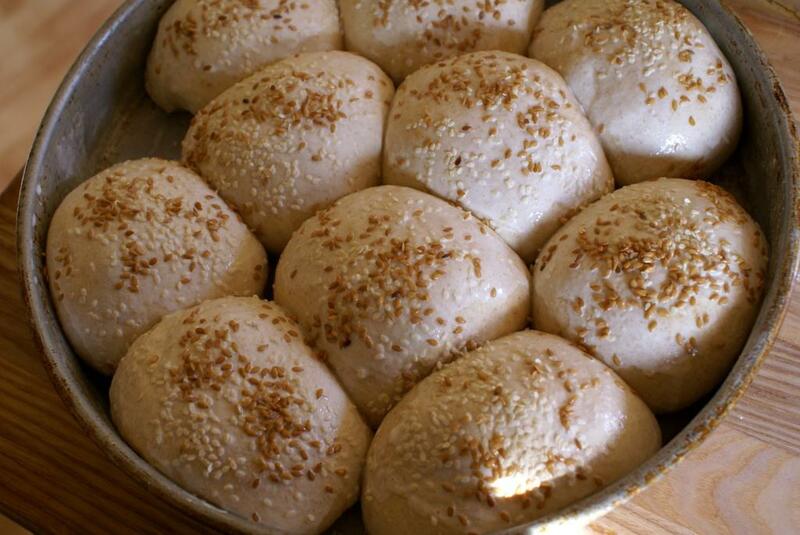 Weigh the dough and decide how many rolls you need. 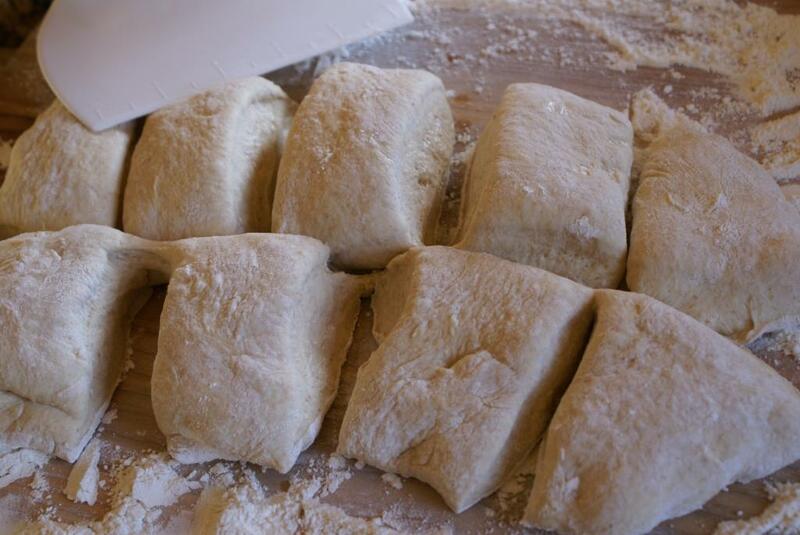 Cut the dough into desired number of pieces. I weighed mine so they can be a similar size. Knead each piece of dough 8-10 times and form a ball. 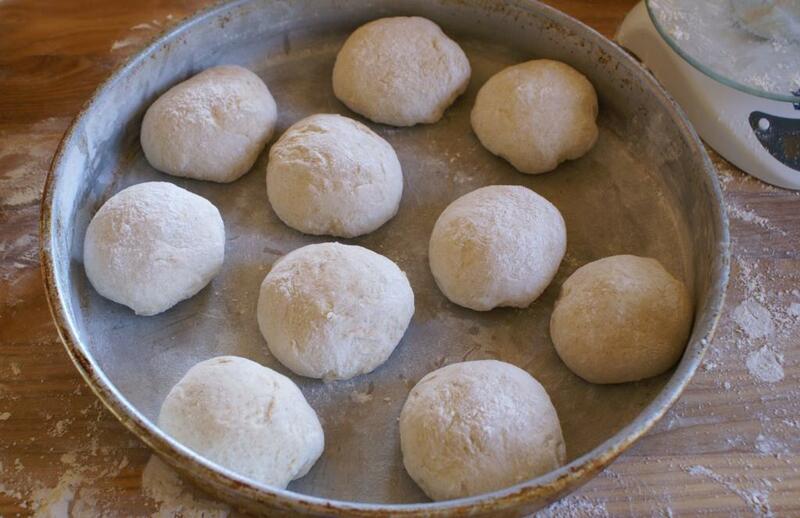 Place all the dough balls into the greased pan, cover lightly and let rise for at least 1 ½ – 2 hours. 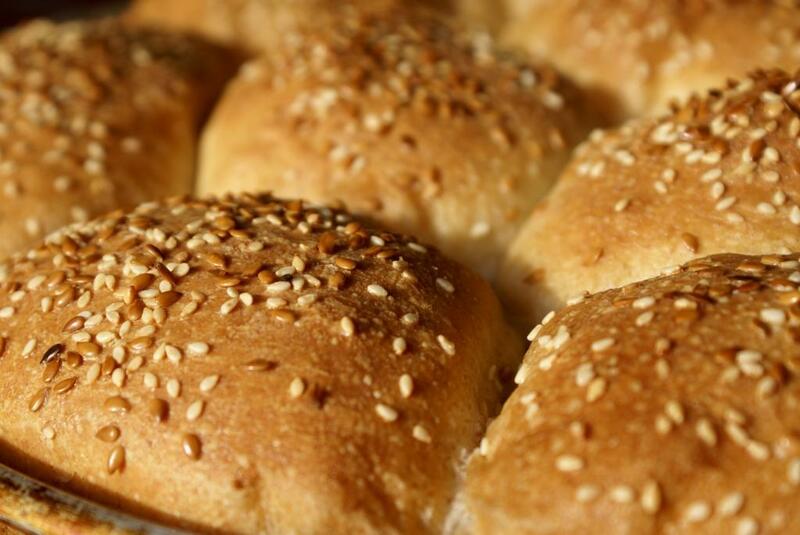 When they have doubled in size, brush them with some heavy cream and sprinkle with flax and sesame seeds. Bake at 400 F (200 C) for about 20 minutes or until golden. All is left is just to enjoy them! First time ever, Sibella, that I have every single ingredient on hand for a recipe. Made America’s Test Kitchen Classic Bread Pudding today with heavy cream and had leftovers and no idea what to do with them. You’re a lifesaver. Can’t wait to make these! 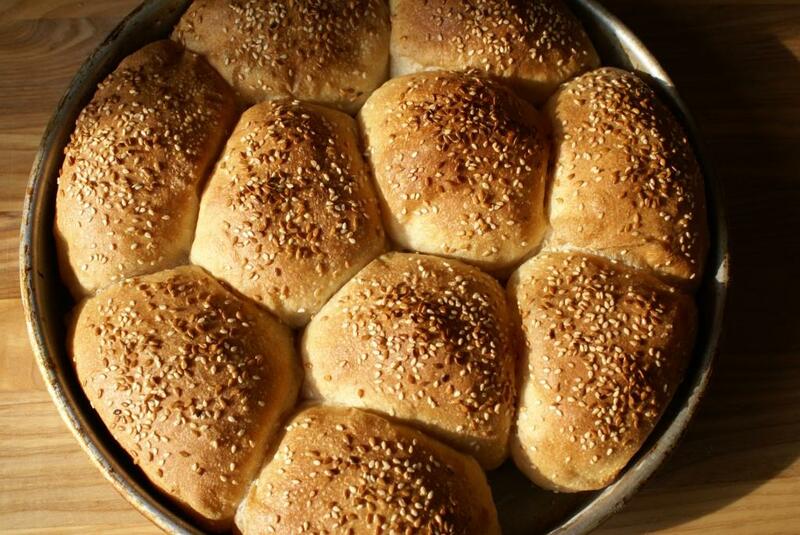 I love home-baked rolls. I guess they remind me of my childhood – and these look and sound delicious. Thank you Darryl! I too have the fond memories of my grandmother baking rolls and crescent for us when we were spending time at her house for school holidays. They look amazing Sibella! So professional! I love this type of bread, especially with butter and marmalade! I love the lighting in these photos – so warm and inviting, just like the smell of freshly baked bread! Thanks Korena! Nothing beats the smell of the freshly baked bread! 🙂 Making these tomorrow for our Christmas dinner. Love to you dear friend!